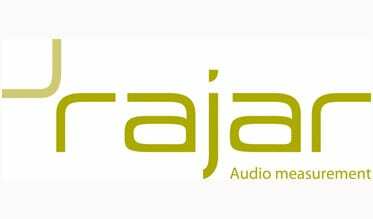 Digital listening has increased year-on-year to 45.2% share, up from 41.7% in Q4 2015, boosted by record levels of DAB digital listening, according to Rajar Q4 2016 data released today. Digital listening hours grew by 12% or 51.3 million hours compared to Q4 2015, driven by record growth in DAB hours which increased by 23% and online hours which increased by 14%. DAB digital radio now accounts for a third of all radio listening and 73% of all digital listening, with 31 million adults or 57% of the population owning a DAB radio - a year-on-year growth of 6%. Digital listening via online/apps now accounts for 7.4% of all radio listening and 16% of digital listening, while digital television accounts for 4.9% of radio listening and for 11% of digital listening. Q4 2016 saw the highest-ever recorded proportion of in-car radio listening, accounting for 23.3% of all radio listening, growth supported by the increase of in-car digital radio with 87% of new cars now fitted with DAB as standard (Q4 2016 CAP/SMMT). In this quarter, in-car digital listening hours grew by 40% year-on-year to 62.3 million hours from 44.5 million hours in Q4 2015. With 15.2 hours of listening per digital listener compared to 14.3 hours per analogue listener, the transition to digital is helping the radio sector sustain high levels of overall listening.